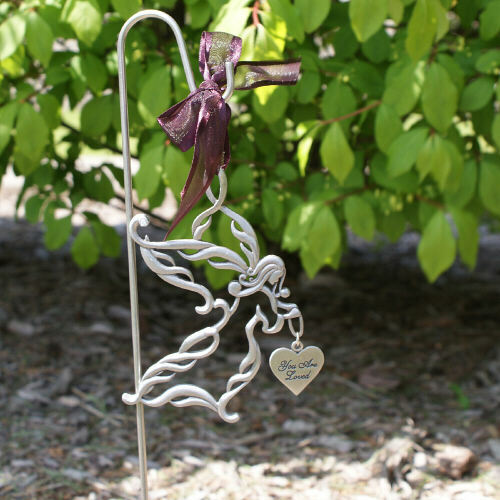 Place this Personalized Memorial Angel Garden Stake Sympathy Gift in your garden or at the grave site as a beautiful reminder of your loved one. 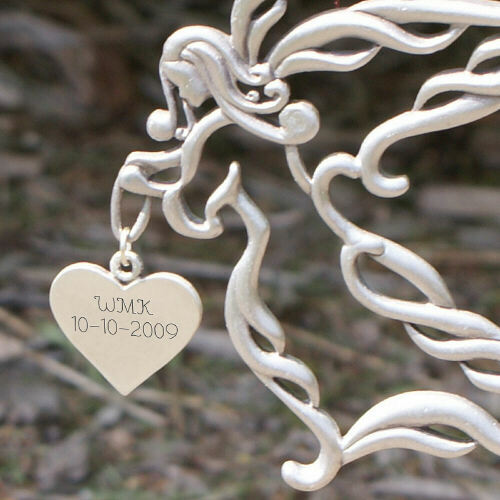 Personalize the other side of the heart with any three initials and any date. Your garden stake is an inspiring memorial keepsake certain to bring loving thoughts and memories of your beloved. Little problem with personalization but company immediately sent replacement. Very happy!!! GiftsForYouNow.com specializes in loving Personalized Memorial & Sympathy Gifts.